There are plenty of good active holiday options in Tanzania, including hiking and mountain climbing, chimpanzee trekking, walking safaris, snorkelling and scuba diving, and even the iconic Kilimanjaro Marathon. Hiking, trekking and mountain climbing lead the way in terms of active holiday pursuits available in Tanzania. Whether you set foot on the summit of one of Tanzania’s highest mountains or just walk through the indigenous forests on the lower slopes for a few hours, trekking in this country has something for everyone: volcanoes, mountain ranges, high plateaus, craters, lakes and forests offer superb possibilities for everything from short hikes or longer multi-day treks. Without a doubt, Mount Kilimanjaro, the highest mountain in Africa, with its six official climbing routes, is Tanzania’s most popular trekking attraction. Kili climbs last from five to ten days with Lemosho and Rongai being the routes of choice. 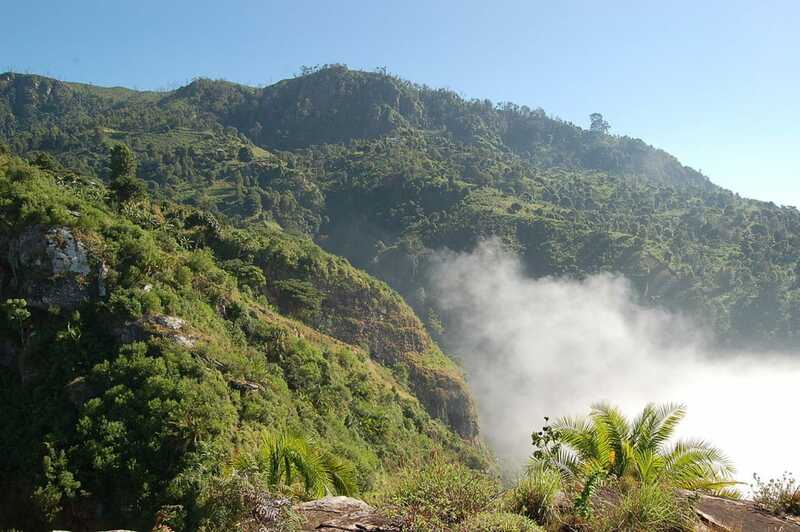 Neighbouring Mount Meru (4,566 metres) is less well known, but just as attractive a trekking proposition, especially considering that it is located inside the Arusha National Park with animals like elephants, buffaloes, giraffes and colobus monkeys to ensure that your trek is both active and adventurous. Other lesser known volcanoes and climbable mountains in northern Tanzania include: Mount Lomalasin (3,648 m), Mount Hanang (3,417 m), Ol Doinyo Lengai (2,878 m) and Mount Longido (2,637 m). Even if you harbour no summit ambitions, there are plenty of quality hiking options with a three- to five-day trek through the Ngorongoro Conservation Area to Lake Natron, which affords an opportunity to experience Maasai culture en route, being amongst the best of them. Other multi-day hiking options are available in the western Usambara Mountains. In southern Tanzania, you can go hiking through the pristine and untrammelled Udzungwa Mountains National Park, or trekking for chimpanzees in the Mahale Mountains or Gombe Stream national parks. Another great way to stretch your legs is on a Big Five walking safari inside one of Tanzania’s protected areas. The top five options for this exhilarating undertaking are: Serengeti, Tarangire, Katavi, Ruaha and the Selous. Dangerous game abounds, so make sure to go with a reputable operator and have a well-trained and experienced walking guide leading you on your foray into the wilderness. This active experience is far more than simply exercise, it is an opportunity to reconnect with nature and appreciate the rejuvenating power of wilderness, while the constant possibility of big game encounters adds a strong dimension of anticipation and exhilaration. For visitors who prefer water-based activities, snorkelling with the whale sharks off Mafia Island or scuba diving in the azure waters surrounding the Spice Islands are great options to explore.